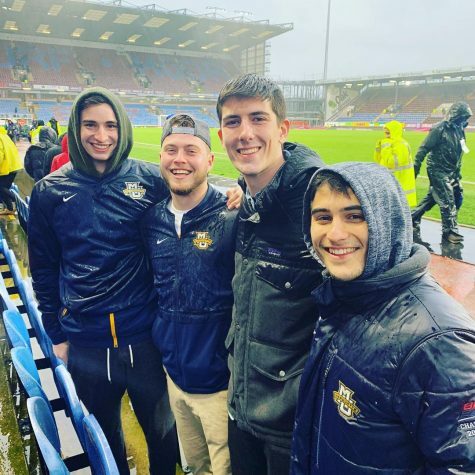 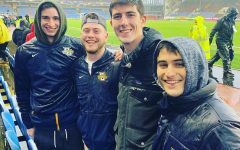 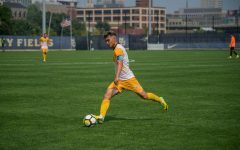 The Marquette men’s soccer team dropped its BIG EAST lid-lifter for the first time since 2011, as Villanova came back to beat the Golden Eagles 3-1 Saturday afternoon. 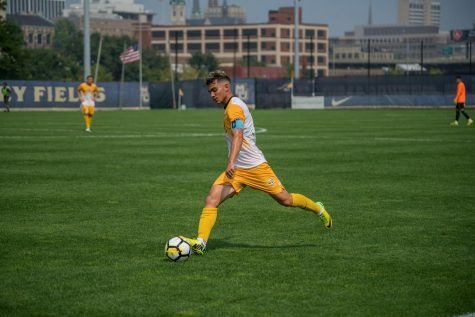 Marquette, now 0-5-1 on the season, is off to head coach Louis Bennett’s worst start through six games in his 12-year tenure at Marquette. 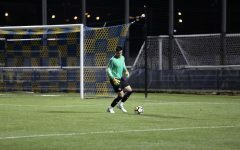 Bennett cited the Wildcats’ ability to play well in the latter stages of a match. 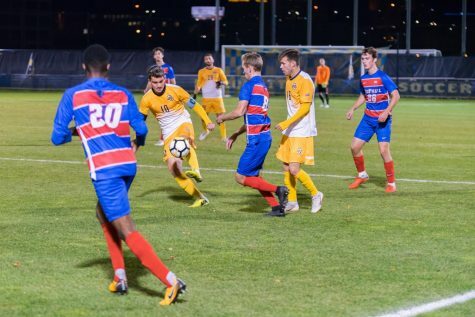 In the 18th minute, Connor Alba swung in a cross that found the head of Grant Owens, who guided it into the top left post for a 1-0 lead. 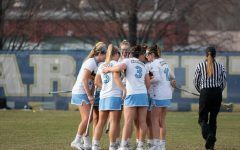 However, Villanova came out of its early game slump to control the pace of play for the remainder of the first half. 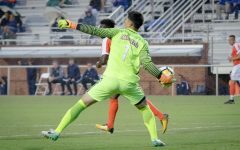 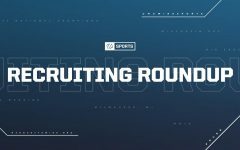 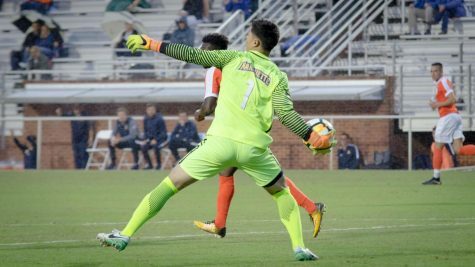 In the 33rd minute, MU goalkeeper Luis Barraza collided with a teammate, leaving Villanova’s Theo Quartey wide open for the tap from Shane Bared. 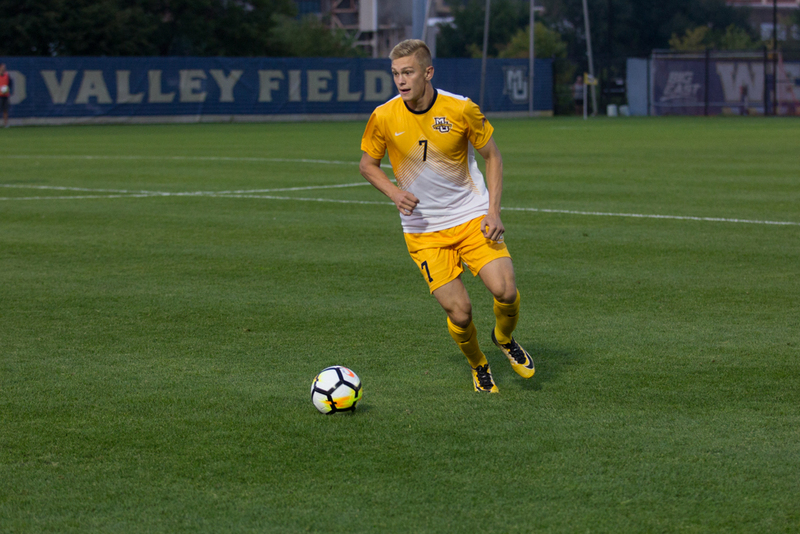 Marquette nearly took the lead in the 66th minute with a brilliant cross from defender Patrick Seagrist to Jason Davis, but his header went just over the crossbar. 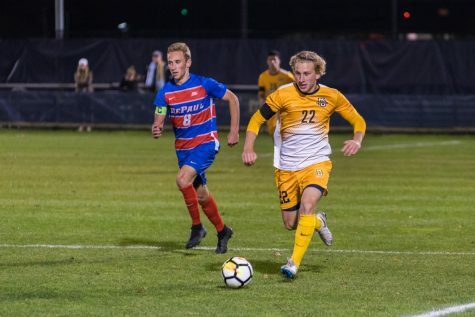 The Wildcats grabbed the lead for good in the 72nd minute as Jack Gilliam got the shot off just before a diving Steffen Bohm could break up the play. 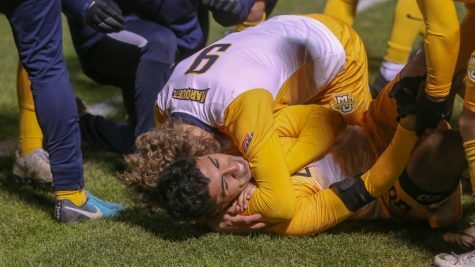 The insurance tally came in the 85th minute as Quartey made the Marquette defense look silly. 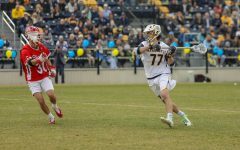 He weaved his way past three Marquette defenders just past the 18-yard mark and dished the ball off to Zach Zandi, who fired a shot off of the crossbar. Marquette got caught ball-watching and Quartey placed his shot into the top left corner to make it 3-1. 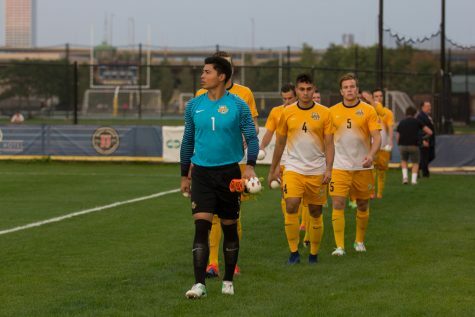 This is the third straight season in which the Golden Eagles have lost to Villanova via a comeback. 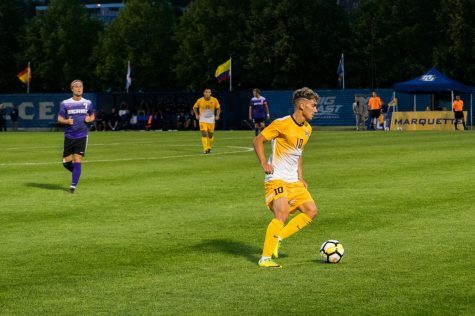 It does not get any easier from here for the Golden Eagles, as they will square off against a Seton Hall side next Friday that defeated the Golden Eagles 2-0 last season. 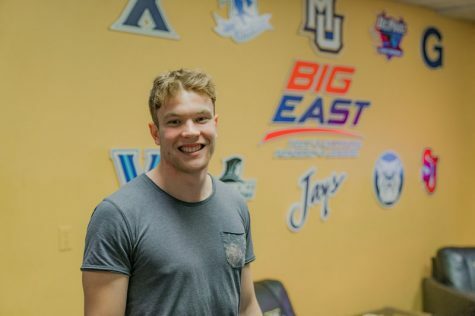 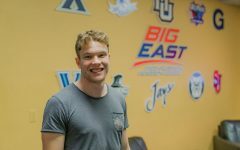 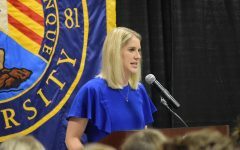 “As a staff, we have to create a game plan where they believe that this is the way where if we perform well we can beat Seton Hall,” Bennett said. 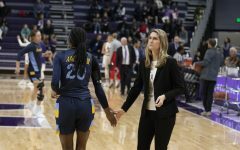 “And then we have to create confidence and a desire and a toughness so that we’ll have all those things to help us win games.